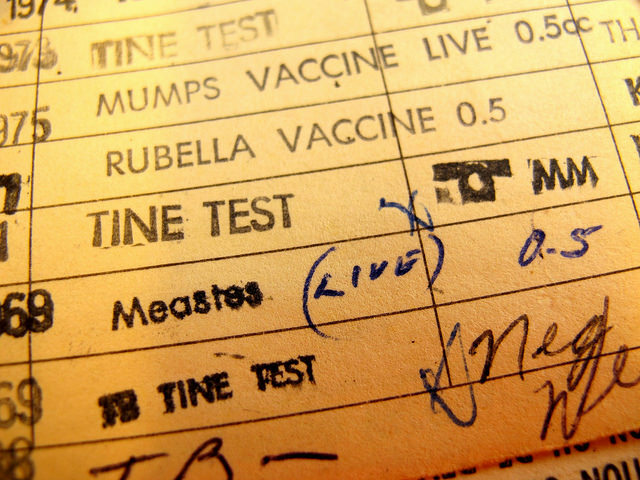 Between the beginning of 2015 and February 20, 2015, 154 people in the United States were reported to have measles. Most, though not all, were linked to an outbreak that started in Disneyland, California; and California had the largest share of cases. In a country of over 300 million inhabitants, this appears a trivial number. Yet the outbreak triggered a call for strengthening immunization requirements. Why is this increase in measles cases a big deal? Because the disease is completely preventable. Since the United States adopted a policy of vaccinating with two doses of the very safe and very effective Measles, Mumps and Rubella vaccine (MMR), cases declined to such an extent that measles was declared eliminated in 2000. There still were imported cases, but they did not spread and the numbers were very small. Since 2011, however, the number increased dramatically, culminating in 2014’s 644 cases. With over 150 cases by February, 2015 is shaping to be a very bad measles year as well. The Disneyland connection makes this no longer a matter of only small religious communities but also a focus of general attention. Dr. Paul Offit, scientist, vaccine expert, and advocate, says: “We had more than 640 cases last year in the US. I don’t think it was striking communities that struck a chord with people. But when there’s a Disney outbreak, it’s different. It’s Eden. We have soiled Eden. It’s Biblical now.” In reaction to the outbreak, politicians in many states proposed bills tightening exemptions from school immunization requirements. This short article examines the law and legislative trends in this area. School immunization requirements in the United States date back to the 19th century. In 1922, the Supreme Court found these types of mandates constitutional. By 1969, twenty-six states and the District of Columbia had immunization requirements, though some had very easy opt-out provisions. Today, all fifty states and the District of Columbia have school immunization requirements. The required immunizations vary, as does control of the schedule–in some states, the legislature enacts the schedule, while in others the health department can determine which immunizations are required. All states exempt from these requirements children with acknowledged medical reasons not to vaccinate. Forty-eight states–all except Mississippi and West Virginia–also offer nonmedical exemptions: either a religious exemption, or an exemption based on personal belief, or both. States vary not only in terms of which type of exemptions they offer, but also in ease of getting exemptions. Ease affects exemption rates, which in turn, affect the rate of preventable diseases. Rates of exemptions vary from less than 0.1% for Mississippi, which offers no non-medical exemption, to 7.1% in Oregon, which offers both religious and philosophic exemptions. While 7.1% may not seem very high, it is problematic for two reasons. First, for some diseases, the threshold for herd immunity is high. Herd immunity means that if a certain percentage of a population is immunized, they prevent the disease from gaining access to those who cannot or will not be vaccinated, protecting the entire community. For some diseases the needed threshold for herd immunity is higher than for others. For example, for measles it is about 95%. A state with a 7.1% exemption rate does not meet that threshold. Second, the rate of exemptions in a state is not evenly distributed. For example, California had only 3.3% exemptions among kindergarten children in 2014. Aside from the fact that that number does not capture delayed vaccination schedules–when the children are immunized later than recommended, leaving them at risk longer–some communities have much higher rates and are vulnerable to outbreaks. Constitutionally speaking, the only limits courts impose on the scope of exemptions that a state can offer affect religious exemptions (and to date, no court has imposed limits on immunization requirements themselves). States do not have to offer a religious exemption; but if they do, it has to meet certain criteria. First, almost all courts that addressed the issue struck down laws that tried to limit the exemption to organized religions only. Furthermore, unless the legislature expressly conditioned the exemption on a showing of sincere religious belief, courts ruled that state officials cannot examine the sincerity of the belief and have to accept a claim for religious exemption at face value. Courts also ruled that belonging to a religion that supports vaccinations does not mean the individual does not have a sincere religious opposition to them. If a state wants to offer exemptions, it seems more appropriate to offer one that is not dependent on religious beliefs alone. A state offering an easy-to-get exemption should be well aware of the risk it is taking–a risk of increase in preventable diseases, with costs in life, suffering, and money. Examining patterns in antivaccine legislative efforts, Lillvis, Kirkland, and Frick noted that after a period of success in expanding exemption laws between 1998 and 2003, antivaccine activists were no longer able to enact laws expanding exemptions from immunization requirements. The last year in which bills expanding exemptions passed successfully was 2003, as Arkansas and Texas added a philosophical exemption. After that, antivaccine activists had success in blocking bills aimed at making it more difficult to avoid childhood vaccines, but not in passing new bills to avoid vaccination. After 2011, that changed as well: Washington, Oregon, and California passed bills making personal belief exemptions harder to get by adding an educational requirement (though more recently, a similar bill proposed in Colorado was only passed after the requirement was dropped). A few states had been reconsidering their policies even before the Disneyland outbreaks. For example, Maine proposed a bill adding an educational requirement to their personal belief exemption before the outbreak; Michigan changed its rules via administrative action to require a doctor’s signature on a personal belief exemption form. But most of the change happened after the outbreak. As of March 3, 2015, ten states have bills proposing to eliminate either the personal belief exemption (“PBE”), the religious exemption, or both. Six more states have bills proposing to make nonmedical exemptions harder to get (see Table 1). Will any of those bills pass? Hard to know. As of March 13, 2015, Washington’s bill failed to advance to the floor and Oregon’s bill was either withdrawn or in limbo–things are unclear. In contrast, New Jersey’s bill moved out of committee. The tenor of the news articles and the extensive political activity suggest strong public support for tightening the laws in ways that make it harder for the nonvaccinating minority to send unvaccinated children to school, which increases the potential for outbreaks. But antivaccine activists, although a minority, or maybe because they are a minority, are a passionate, dedicated group. Each state wanting to tighten laws to reduce the chances of outbreaks is facing a battle–potentially a hard one. Several states have exemption rates that are too high to preserve herd immunity. Oregon, at 7.1%, is at a high risk. California has a low rate of exemptions overall, but has areas where rates of immunization are low. Maine, Michigan, and Washington all have high exemption rates. These states all face a real risk of disease. At least tightening these exemptions is a powerful idea. At the very least, since the public health argument is not as strong for homeschoolers, it makes sense to exempt children who are homeschooled from immunization requirements. Offering a hard-to-get personal belief exemption is preferable to a religious exemption, but should be harder to obtain than even the educational requirement currently in place. Ideally, getting the exemption would require a daylong course with a short quiz at its end. The course requirement would help limit exemptions to only the very small set of parents with the strongest feelings against vaccines, parents who believe that asking them to vaccinate is akin to asking them to poison their child. Absent an exemption, parents may resort to extreme measures. They may decide that the only way to avoid harming their children is to falsify records. With exemptions, unvaccinated children are known, and schools typically exclude them if there is an outbreak–something for which state laws provide. This exclusion in the face of an outbreak would not be possible if unvaccinated students are not accurately identified. If no personal belief exemptions were allowed, parents may vaccinate their children and then use one of the untested, unsupported “detoxification” protocols suggested by antivaccine extremists. This process could be less than healthy for these children. Additionally, parents may decide to homeschool only out of concerns about vaccines, not out of desire, and maybe without being truly ready and able to do so. That would also not necessarily be in the child’s best interest. However, providing an exemption because of an extreme fringe group’s beliefs is problematic. To some extent, it would reward irrationality and free riding: the minority that does not vaccinate gets to enjoy herd protection without taking the very small, but real risks of vaccinating. But as long as the exemption is, indeed, hard to get, and as long as it is kept to the extreme minority, having a personal belief exemption is the better option than having only medical and homeschooler exemptions, or having no exemption at all. * Professor of Law, UC Hastings College of Law.
. Ctrs. for Disease Control & Prevention, Measles Cases and Outbreaks http://www.cdc.gov/measles/cases-outbreaks.html (last updated Mar. 23, 2015).
. Id. ; Ctrs. for Disease Control & Prevention, U.S. Multi-State Measles Outbreak 2014—2015, http://www.cdc.gov/measles/multi-state-outbreak.html (last updated Mar. 23, 2015).
. Jenny Gold, Measles Outbreak Sparks Bid to Strengthen Calif. Vaccine Law, npr (Feb. 5, 2015, 5:04 AM), http://www.npr.org/blogs/health/2015/02/05/383988632/vaccination-exemption-blamed-for-measles-spread-in-california; Orac, Will the Disneyland Measles Outbreak Lead to the End of Non-Medical Exemptions to School Vaccine Mandates? 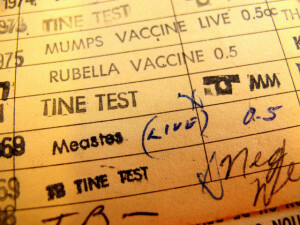 (It Should), ScienceBlogs (Feb. 6, 2015) http://scienceblogs.com/insolence/2015/02/06/will-the-disneyland-measles-outbreak-lead-to-the-end-of-non-medical-exemptions-to-school-vaccine-mandates-it-should/.
. Nicola P. Klein et al., Safety of Measles-Containing Vaccines in 1-Year-Old Children, 135 Pediatrics e321, e327 (2015).
. Pub. Health Agency of Can., Canadian Immunization Guide Part 1 1-2, (Apr. 2014), available at http://www.phac-aspc.gc.ca/publicat/cig-gci/assets/pdf/p01-eng.pdf. With a second dose, efficacy in children is almost 100%. Pub. Health Agency of Can., Canadian Immunization Guide, http://www.phac-aspc.gc.ca/publicat/cig-gci/p04-meas-roug-eng.php#effimm (last modified Jul. 11, 2014). According to the CDC, “[m]easles antibodies develop in approximately 95% of children vaccinated at 12 months of age and 98% of children vaccinated at 15 months of age.” Ctrs. for Disease Control & Prevention, Epidemiology and Prevention of Vaccine-Preventable Diseases 182 (William Atkinson, Jennifer Hamborsky, Arch Stanton & Charles Wolfe eds., 12th ed., 2d prtg. 2012); see also Vittorio Demicheli et al., Vaccines for Measles, Mumps and Rubella in Children (Review), 2 Cochrane Database Systematic Revs. 1, 1 (2012).
. Ctrs. for Disease Control & Prevention, Frequently Asked Questions About Measles in the U.S., http://www.cdc.gov/measles/about/faqs.html (last updated Mar. 20, 2015).
. Id. On measles elimination, see Mark J. Papania et al., Elimination of Endemic Measles, Rubella, and Congenital Rubella Syndrome from the Western Hemisphere: The US Experience, 168 JAMA Pediatrics 148, 149-50 (2014).
. Ctrs. for Disease Control & Prevention, supra note 1.
. Julia Belluz, Why America Only Cared About Measles Once It Hit Disneyland, Vox, http://www.vox.com/2015/1/30/7948085/why-america-only-cared-about-measles-once-it-hit-disneyland (last updated Jan. 30, 2015).
. Nat’l Conf. of St. Legislatures, States with Religious and Philosophical Exemptions from School Immunization Requirements, http://www.ncsl.org/research/health/school-immunization-exemption-state-laws.aspx (last visited Mar. 23, 2015).
. James G. Hodge, Jr. & Lawrence O. Gostin, 90 Ky. L.J. 831, 851 (2001–02) (in Massachusetts, 1855).
. Zucht v. King, 260 U.S. 174, 176 (1922).
. Charles L. Jackson, State Law on Compulsory Immunization in the United States, 84 Pub. Health Rep. 787, 791 (1969).
. Nat’l Conf. of St. Legislatures, supra note 10.
. For example, in California the legislature named some vaccines and then gave the department authority to add more. Cal. Health & Safety Code § 120335 (Deering 2012 & Supp. 2015).
. Y. Tony Yang & Ross D. Silverman, Legislative Prescriptions for Controlling Nonmedical Vaccine Exemptions, 313 JAMA 247, 247 (2015). The process of getting a medical exemption, the scope of it, and the difficulty also vary by state. Id.
. Id. ; see also Steve P. Calandrillo, Vanishing Vaccinations: Why Are So Many Americans Opting Out of Vaccinating Their Children?, 37 U. Mich. J. L. Reform 353, 413– 17 (2004) (discussing the increase in religious and philosophical exemptions and their potential to produce serious consequences); Dorit R. Reiss, Thou Shalt Not Take the Name of the Lord Thy God in Vain: Use and Abuse of Religious Exemptions from School Immunization Requirements, 65 Hastings L.J. 1551, 1559 (2014).
. Yang & Silverman, supra note 16, at 247.
. Saad B. Omer et al., Nonmedical Exemptions to School Immunization Requirements: Secular Trends and Association of State Policies With Pertussis Incidence, 296 JAMA 1757, 1758 (2006).
. Saad B. Omer et al., Geographic Clustering of Nonmedical Exemptions to School Immunization Requirements and Associations With Geographic Clustering of Pertussis, 168 Am. J. Epidemiology 1389, 1389 (2008); see also Aamer Imdad et al., Religious Exemptions for Immunization and Risk of Pertussis in New York State, 2000–2011, 132 Pediatrics 37 (2013).
. Ranee Seither et al., Vaccination Coverage Among Children in Kindergarten — United States, 2013–14 School Year, 63 Ctrs. for Disease Control & Prevention Morbidity & Mortality Wkly. Rep. 913, 918 (Oct. 17, 2014), available at http://www.cdc.gov/mmwr/pdf/wk/mm6341.pdf.
. Paul A. Offit, Deadly Choices: How the Anti-Vaccine Movement Threatens Us All, at xvi–xvii (2011).
. Ranee Seither et al, supra note 21, at 918.
. See sources cited supra note 20.
. See Phillips v. New York, 775 F.3d 538, 542 (2d Cir. 2015); Workman v. Mingo Cnty. Bd. of Educ., 419 F. App’x 348, 353–54 (4th Cir. 2011) (per curiam).
. Sherr v. Northport-East Northport Union Free Sch. Dist., 672 F. Supp. 81, 87–88 (E.D.N.Y. 1987); Dalli v. Bd. of Educ., 267 N.E.2d 219, 223 (Mass. 1971); Bowden v. Iona Grammar Sch., 726 N.Y.S.2d 685, 686–87 (N.Y. App. Div. 2001); cf. In re LePage, 18 P.3d 1177, 1181 (Wyo. 2001) (interpreting the Wyoming statute to prevent limiting the exemption to organized religion). For the only exception, see Kleid v. Bd. of Educ. of Fulton, 406 F. Supp. 902, 904 (W.D. Ky. 1976), which interpreted Kentucky statute K.R.S. § 214.036 to allow limiting the exemption to organized religion. See also Reiss, supra note 17, at 1567–68. Mississippi’s Supreme Court went further and struck down the religious exemption entirely as discriminatory. Brown v. Stone, 378 So. 2d 218, 223 (Miss. 1979); Reiss, supra note 17, at 1560–62.
. In re LePage, 18 P.3d at 1180 (“[T]he statutory language lacks any mention of an inquiry by the state into the sincerity of religious beliefs. As a result, the Department of Health exceeded its legislative authority when it conducted a further inquiry into the sincerity of Mrs. LePage’s religious beliefs.”). For a detailed analysis of this, see Yang & Silverman, supra note 16, at 247–48. See also Dep’t of Health v. Curry, 722 So. 2d 874, 878 (Fla. Dist. Ct. App. 1998).
. E.g., Berg v. Glen Cove City Sch. Dist., 853 F. Supp. 651 (E.D.N.Y. 1994).
. Reiss, supra note 17, at 1553.
. For example, states generally do not allow Jehovah’s Witnesses to refuse blood transfusions to children. See Jehovah’s Witnesses in State of Wash. v. King Cnty. Hosp., 278 F. Supp. 488 (W.D. Wash. 1967), aff’d. per curiam, 390 U.S. 598 (1968); In re Sampson, 317 N.Y.S.2d 641 (N.Y. Fam. Ct. 1970), aff’d, 323 N.Y.S.2d 253 (N.Y. App. Div. 1971), aff’d, 278 N.E.2d 918 (N.Y. 1972). Parental decision to refuse other life-saving treatments can also be overturned. See generally Robert H. Mnookin & D. Kelly Weisberg, Child, Family, and State: Problems and Materials on Children and the Law (7th ed. 2014) (devoting an entire chapter to this discussion); Alison Dundes Renteln, The Cultural Defense 67–70 (2004).
. Prince v. Massachusetts, 321 U.S. 158, 170 (1944).
. Denise F. Lillvis et al., Power and Persuasion in the Vaccine Debates: An Analysis of Political Efforts and Outcomes in the United States, 1998-2012, 92 Milbank Quarterly 475, 498 (2014).
. Id. at 502–03, 505; Kurtis Lee, Effort Educating Colorado Parents on Vaccinations Passed By Committee, Denver Post (Mar. 13, 2014), http://www.denverpost.com/news/ci_25338011/effort-educate-parents-vaccinations-likely-be-contentious (discussing Colorado’s personal belief exemption).
. Joe Lawlor, Maine Bill Seeks to Halt Surge in Vaccination Avoidance, Portland Press Herald (Dec. 30, 2014), http://www.pressherald.com/2014/12/30/maine-bill-seeks-to-halt-surge-in-vaccination-avoidance/.
. Rosemary Parker, Vaccination Waivers Will Be Tougher to Obtain in Michigan Under New Rules, MLive (Dec. 11, 2014), http://www.mlive.com/news/index.ssf/2014/12/vaccination_rule_change_propos.html; Orac, Who Knew? My State’s Vaccine Personal Belief Exemption Rate Stinks! (Part Two: What to Do. ), ScienceBlogs (Dec. 12, 2014), http://scienceblogs.com/insolence/2014/12/12/who-knew-my-states-vaccine-personal-belief-exemption-rate-stinks-part-2-what-to-do/ (examining why some parents choose to go with the exemption).
. This table is based on information gathered from the National Vaccine Information Center Advocacy Portal, https://nvicadvocacy.org/members/Home.aspx (last visited Mar. 24, 2015).
. Later in March, the Washington bill failed to meet an important deadline and therefore will not come for a vote in 2015. It’s unknown whether it will be proposed again in the next legislative session. Associated Press, Bills Banning Most Vaccine Exemptions Fail in Northwest, N.Y. Times (Mar. 11, 2015), http://www.nytimes.com/aponline/2015/03/11/us/ap-us-xgr-vaccine-exemptions.html?_r=0. Contrary to the article, it seems Oregon’s bill is still on the books, though an amendment to it has been dropped. Oregon State Legislature, https://olis.leg.state.or.us/liz/2015R1/Measures/Overview/SB442 (last visited March 28, 2015).
. See, e.g., Lisa Aliferis, To Protect His Son, a Father Asks School to Bar Unvaccinated Children, NPR (Jan. 27, 2015), http://www.npr.org/blogs/health/2015/01/27/381888697/to-protect-his-son-a-father-asks-school-to-bar-unvaccinated-children; Philip Rucker & Rosalind S. Helderman, Vaccination Debate Flares in GOP Presidential Race, Alarming Medical Experts, Wash. Post (Feb. 2, 2015), http://www.washingtonpost.com/politics/chris-christie-remarks-show-vaccines-potency-in-political-debate/2015/02/02/f1c49a6e-aaff-11e4-abe8-e1ef60ca26de_story.html.
. Seither, supra note 21.
. See, e.g., Cal. Health & Safety Code §120365(e) (Deering 2014).
. See, e.g., Lleaon Rao, Holistic Vaccine Detox Protocol for Babies & Children, HolisticSaffron (Sept. 1, 2014), http://holisticsaffron.com/holistic-vaccine-detox-protocol-for-babies-children/.